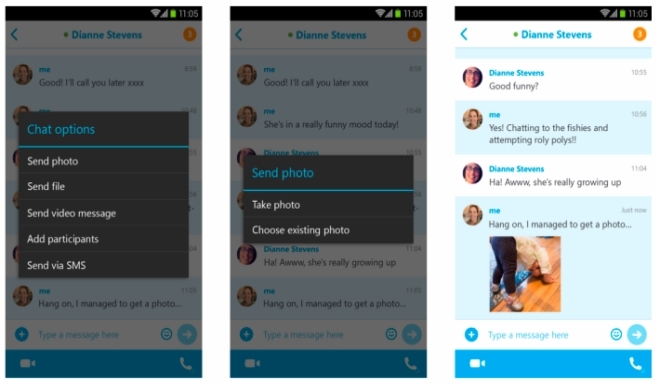 Skype has updated its Android app to version 5.2, bringing some really useful features including offline photo sharing, support for picture-in-picture view, reduced chat loading times, and call quality improvements. The updated app lets you send photos to your offline contacts, something which wasn’t previously possible. “When they are back on Skype, photos you shared show up beautifully inline in the chat history, whether or not you’re online – allowing you to easily carry on the conversation,” said Skype in a blog post. In addition, the update also brings picture-in-picture view for phones, allowing you to keep a video call going even when you navigate away to other apps. Finally, the app also promises call quality improvements, especially in low-bandwidth scenarios, as well as reduced chat loading times, especially when opened from a notification. The updated app is now rolling out on Google Play.